One week before we are guaranteed to see more of Metal Gear Solid V: The Phantom Pain at E3, Kojima Productions provided a sneak peak at the gameplay on its Kojima Station video cast. Low and behold, we have a perfect example of the major problem I have with this game. Not that it is open world. I was fine with that in Ground Zeroes and really enjoyed it. 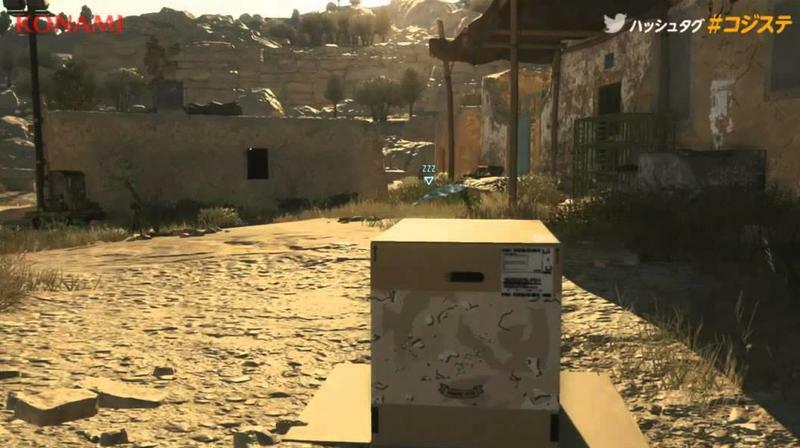 Not that it still allows Snake to crawl around in a cardboard box. That’s still hilarious and provides all the nostalgia one needs for a week. The problem is that these darker themes and serious commentary on the world that creator Hideo Kojima is promising clash so harshly with the laughs and giggles that his games inspire. Listen to this lady as she giggles along while Kojima explains to her he game. Can you imagine the horror on that lady’s face if Kojima showed her a little bit of the story. Sorry, but the charming roots from the older gameplay ideas are just too far removed from whatever spoilers they are not showing yet. I’m still excited for the game mostly to see how Metal Gear will evolve with the times, but the friction caused by the old and the new is just too great. When all is said and done, the series peaked at Metal Gear Solid 3, and I am really just ready for Zone of the Enders 3 or something entirely new from Kojima, I think. Along with the gameplay video, Kojima also provided a map to compare the size of The Phantom Pain‘s world to those of the previous games. Metal Gear Solid V: The Phantom Pain will be released for the Xbox 360, Xbox One, PlayStation 3 and PlayStation 4. It’s a long shot, but I’m also calling a PC release announced at E3 this year. We’ll just have to wait a few more days to find out.